NYC, 03/05/2019, 7:00PM. 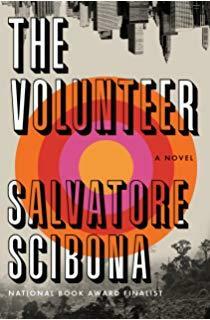 The Volunteer: a novel by National Book Award Finalist. Salvatore Scibona talks with Joan Acocella about his new novel, The Volunteer, the epic story of a restless young man captured during the Vietnam War and pressed into service for a clandestine branch of the United States government. Salvatore Scibona is the Sue Ann and John Weinberg Director of the Cullman Center. His novel The End was a finalist for the National Book Award and winner of the Library's Young Lions Fiction Award. His fiction has also been awarded a Guggenheim Fellowship, a Whiting Writers' Award, and an O. Henry Award, and in 2010 The New Yorker named him one of its "20 Under 40" writers. He completed The Volunteer during his 2016-17 Fellowship at the Cullman Center. Joan Acocella is a staff writer for the New Yorker, where she reviews dance and books. Her own books include Mark Morris; Willa Cather and the Politics of Criticism; and, most recently, the essay collection Twenty-eight Artists and Two Saints, which won the Award in Literature from the American Academy of Arts and Letters. Acocella edited the first unexpurgated edition of The Diary of Vaslav Nijinsky. She worked on her forthcoming biography of Mikhail Baryshnikov during her 2017-18 Fellowship at the Cullman Center.